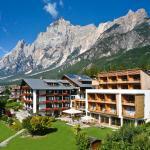 Cortina d'Ampezzo is certainly one of the most popular Italian tourist destinations in the world. Cortina as well as being a popular center for alpine skiing, is also synonymous with high society, entertainment and vacation, spot for VIPs and celebrities from the world of entertainment. In Corso Italia, in the centre of Cortina, there are the shops and showrooms of the world's best brands, art galleries, clubs and top restaurants. 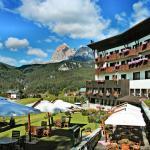 4 and 5 star hotels in Cortina are always crowded, in summer and winter. The town at the foot of Mount Cristallo in the Dolomites of Belluno, is a winter destination for lovers of skiing (and champagne), who can enjoy a large number of tracks, the most famous of which is the Tofana, characterized by changes in slope, and large passages tightening towards the woods of fir trees. In parallel runs the Tofanine, for lovers of allowed off-piste skiing. 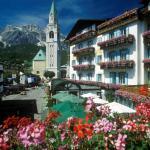 Cortina is part of the Dolomiti Superski, the largest ski area in the world. There are three main ski resorts in Cortina, Faloria, Cristallo and Tofana: they are not connected by a policy of local public administration on environmental protection, but make available a total of over 140 kilometers of ski slopes. Cortina is not only downhill, but it also offers the opportunity to practice different winter sports, from ice skating to cross-country skiing, from hockey to sled, up to the sleddog (sled dogs) and races on snowmobiles. 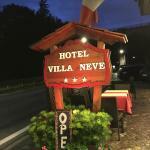 Select travel dates and find all available hotels in Cortina, check out guests reviews and locate properties on Cortina city maps, book your favourite accommodation with no pre-payment. All rates are in Euros and inclusive of all taxes.